Area Maps for navigating downtown Jackson, Wyoming and the greater Jackson Hole area. 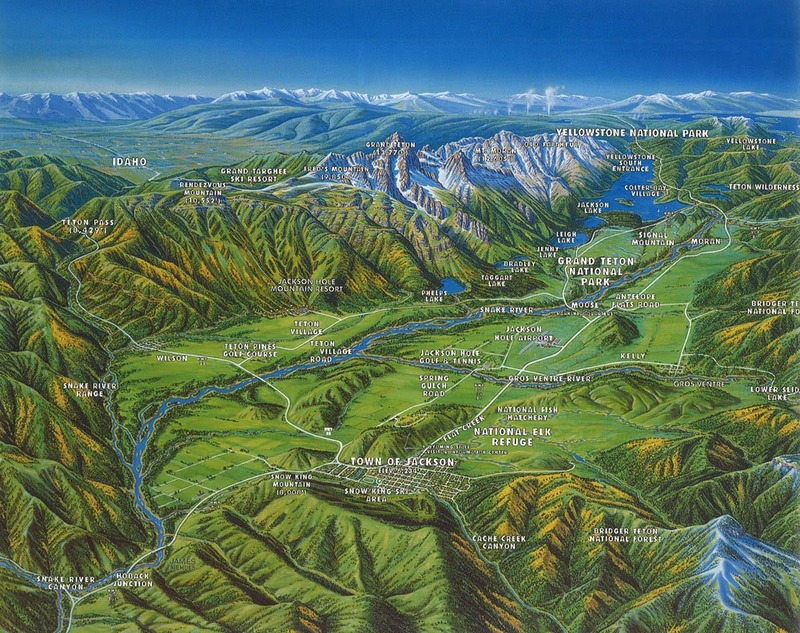 This Spring Hill Press Map is interactive and includes the cities of Alta, Teton Village, and Wilson in Wyoming as well as Driggs and Victor in Idaho. Updated January 2016. Friends of Pathways produces a number of very useful maps that can help visitors navigate throughout the community of Jackson Hole while walking, biking, nordic skiing, trail-running, etc. Maps include: Town Pathways Map, County Pathways Map, and Nordic Pathways Map. Bridger-Teton National Forest provides an abundance recreation opportunities. Visit their website for the following maps: Winter Forest Recreation Map & Winter Closed Areas, Gros Ventre Area, Gros Ventre Wilderness, Cache Creek and Greater Snow King Area, Fall Creek/Munger Mountain Area, Teton Pass Area, Shadow Mountain/Ditch Creek Area, Hoback River Area (includes Granite Creek), Snake River Canyon, Snake River Range (includes Palisades Wilderness Study Area) and Willow Creek Area. 995kb PDF file: This map is in low quality and easily printable. For Jackson Hole Chamber of Commerce Members looking for map printing services, please click here. For information about flights, the Jackson Hole Airport, car rentals, and ground transportation, visit our Getting Here page.